Most people enjoy corned beef with cabbage, and when you cook the corned beef sous vide you will experience a taste that really has to be tried to be believed. 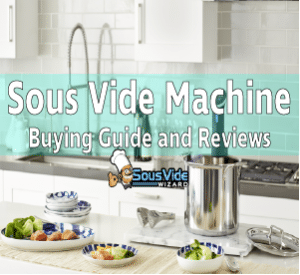 You can get good results with cooking corned beef and cabbage by using conventional cooking methods, but sous vide really does take it to a new level. 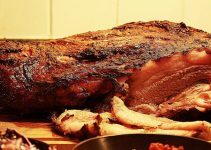 By using this recipe and cooking method, your corned beef will be a lot juicier and tender than you will ever get from conventional cooking methods. 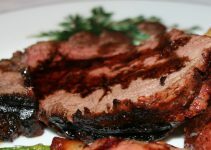 The flavor will astound you and your family or dinner guests, and they will believe that you are an expert chef. You will need to decide whether you want your corned beef to be really juicy or a little bit drier. Either way the corned beef will taste fantastic. If you cook your food at 135°F (57°C) then the corned beef will be very juicy, but if you prefer it a little drier then you can go for a cooking temperature of 145°F (63°C). Cooking perfect corned beef is a fairly slow process, and you need to be prepared to cook for at least 24 hours and up to 48 hours. To understand the different results with these times please see our article about suvee cooking times. The recipe below will feed 4 people and the portions will be generous. You need to decide on the cooking temperature and the cooking times for your choice of perfect corned beef sous vide. Purchase the best quality corned beef that you can find. You will need between 3 and 4 pounds or approximately 1.5 to 2 kilograms of corned beef. Go for a decent size head of cabbage and you need to prepare this by cutting it into strips that are about 0.5 inches or 1.3 centimeters wide. For added flavor it is recommended that you include 6 bacon strips that you have prepared into 0.25 inch strips (0.65 centimeters). For a tasty stock you will need white wine vinegar (0.25 cup) and one or two cups of chicken stock. You will want to pre heat your best sous vide machine to either 135°F or 145°F depending on the juiciness of the corned beef that you require. Then you will want to add the corned beef into a food grade cooking sous vide bag(s) and vacuum seal it (you can use zip lock type bags here, but you must ensure that all of the air is removed before sealing) in your sous vide vacuum sealer. Once your water bath is up to temperature, drop the bag(s) into the bath and set your cooking timer for between 24 and 48 hours. The cabbage and other ingredients will be cooked using a conventional cooking method. 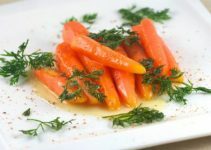 You will want to cook these items around an hour or 45 minutes before your corned beef cooking time will have finished. First you will need to cook the bacon strips on a medium heat. Cook them until the fat is rendered and they are crisp. Leave around a tablespoon of the bacon fat in the pan. Now add the cabbage strips to the pan, and cook on a medium to high heat for about five minutes. Add the vinegar and one cup of chicken stock to the pan. You will want the cabbage to cook in this liquid until it is tender. Once your corned beef is cooked, remove from the cooking bag(s) and divide into four separate portions. Serve on the plate with the cabbage on the top of the corned beef or by the side. Who hasn’t obsessed over a Reuben sandwich , stacked high with rosy-hued meat? Or a sloppy corned beef hash, fragrant and hearty and intensely delicious when topped with a runny egg ? And then there’s corned beef and cabbage—one of the most comforting combinations that ever came out of the kitchen. These dishes rank high among the most crave-able—not to mention satisfying—meals you can sink your teeth into. And while it’s easy to pop by the market and pick up some prepared meat, this recipe rivals any corned beef we’ve ever tried—and requires surprisingly little work on the part of the cook. what time and temp did you use for your corned beef? What was the final texture and tenderness like? I usually do 135 for 30 hours. It comes out delicious. I have heard that salting your meat prior to sous vide-ing can enhance the salt to an unpleasant degree. Is corned beef cooked this way extra salty or does it taste much the same as boiled? I just purchased an Anova sous vide. I wanted to make a corned beef. Went to youtube and watched many video’s, the majority said 135 to 140 deg. for 48 hours. I set the temp. and timer for 140 @ 48 hours. The corned beef came out like Jello, could not even lift it up once it slid out of the vacuumed pouch. IAny thoughts on what I did wrong? 1) Were there any holes in the vacuum sealed pouch? 2) Was the corned beef hard-as-a-rock frozen when put into the pot? If it came out like jello, I’d assume water/extra moisture got into it somehow. Have you tried making anything else with your Anova? Do you put seasoning in the bag with the meat? You can either pre-season or put seasoning in bag and shake. Hi, Will it work if I cook at 2.5 lb corned beef at 141 for 20 hours? I noticed your corned beef slabs were larger and if I upped the temp and reduced the time it might work. I have 20 hours. My first project with my Christmas present sous vide was corned beef. It turned out great after 48 hours at 135. Kinda a pain but it was worth it. Most tender and moist corned beef I have ever done (or consumed). Used a zip lock bag with a straw to withdraw air. Made a glaze of brown sugar, mustard, soy sauce and ginger and then cooked it in a convection over for about 45 minutes. Delicious. I agree that buying the best quality corned beef you can find is a key element.